What it does: Todo backup is a backup tool. as you might imagine, this small utility performs backups of your system to an alternate location and then allows you to perform a restore of that data. The utility appears to make use of the Shadow Copy service in Windows to create an image of your Windows box while running Windows. This is not exactly a hard to find utility these days – but one as well done as this, and free. 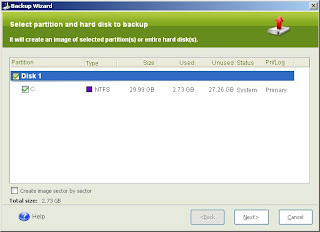 Todo Backup does not include nag screens and warnings that you should upgrade to a “Premium” version. What makes it great: This tool really starts to stand out when you look at the many features and options that come with the program. You can make the image and mount the image (as a read only drive), check the image for consistency and even place the image on a Disc and restore. The real power becomes apparent when you use the utility to create a bootable CD. The bootable CD will run a CD-based version of the program to restore the image you created fully to your system. In my tests, I was also able to load the bootable CD, run the utility, and switch to a disc that contained my drive image and restore from that. 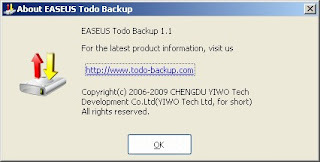 Todo Backup didn’t fail or require the source disc. Having a utility that can give you a full backup like this, the ability to make a boot disc and perform the entire process for free is quite nice. Couple this with an external drive, USB flash drive or some other sort of external interface and you have a great personal backup system. Geek Enhancement: If you want to get the most out of this – you might take the Todo Backup boot CD and create an .ISO image file (Infrarecorder makes those). Grab a USB pen drive and make that drive bootable with your .ISO image (more details here). You may occasionally place the image you create on another larger USB pen or external disc and use your bootable pen drive to quickly and easily restore you’re PC.